PayPal Form: Use of template creating a misdirect of funds? I set up a donations page and added pay pal as a payment option on jotform. I have done this succesfully with other jot forms. I did receive an email today from jotform on a donation submission. Evenn though I changed the name of jot form, my email submission came back with the old template name. Also when I check submissions, I see no enttries and I should have the one. Is this money being correctly routed.? 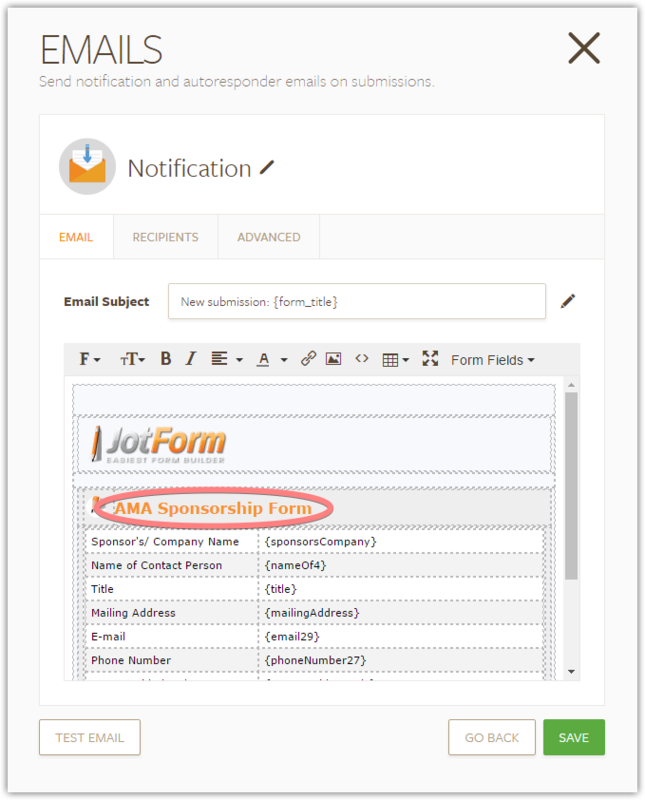 The form entry seems to be already displayed within '2016 NATERA Sponsorship Form' submissions. If the issue with your PayPal form still persists, please let us know.